According to a study done by the National Christmas Tree Association and USDA National Agricultural Statistics Service, 33 million real Christmas trees are purchased in the United States each year. Only 9.5 million fake Christmas trees are purchased annually. Yet every year the debate of buying a real or a fake Christmas tree arises and many falter when deciding which to purchase. Cost, ecological friendliness, and overall aesthetics of the tree are the three biggest factors that come into play when choosing which type of tree will stand in your living room on December 25. The reality is that despite many deceiving statistics, the live Christmas tree is the better choice for this year’s holiday season. The largest argument of the “faux fir” fanatic is longevity. According to an article by John Collins Rudolf of the New York Times, the average fake tree lasts anywhere from six to 10 years. This is, without question, six to 10 times longer than the life of a real Christmas tree. This fact can hardly be refuted, but statistics don’t tell the whole story. When a real tree is down for the count, it can be recycled and ground into mulch, which can be used to fertilize new trees. This process is not very expensive and is good for the earth. Artificial Christmas trees, however, have a much less uplifting end. Imitation trees are made of PVC, a tough chemically resistant plastic material that will never break down if put in a landfill. The other disposal option is incineration, but this hurts the environment just as much. When burned, the PVC adds dioxins and carcinogens into our atmosphere. So, in truth, the life span of a real Christmas tree beats that of a fake one because it is never really terminated, just reckoned again from a new stage of life. The second environmental worry of real tree buyers is that the trees must be chopped down in order for them to be purchased. It is a legitimate concern of many that when buying a bona fide Christmas tree, one is supporting the act of cutting down trees. What many people overlook is that in order for a tree to be cut down, it must grow first. The average growing time for a Christmas tree is seven years. According to Kimberly Crandell of Science 2.0.com, an acre of Douglas Firs can absorb 11,308.7 pounds of carbon dioxide each year. Kimberly also stated that tree farms plant one to three new trees for each one tree that is cut down. The tree farms are often located on land that wouldn’t otherwise be used, so, are they really so environmentally harmful? No, they aren’t. Actually, it is the fake trees that truly harm the earth. 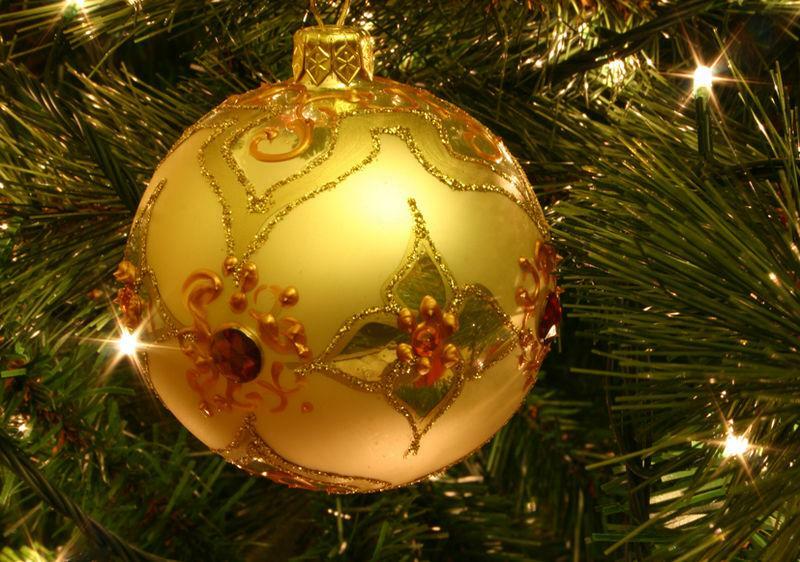 About 80 percent of fake Christmas trees are imported from China. This is not only harmful for the environment in terms of fuel, but it is also bad for our economy. The average cost of a real Christmas tree can be expensive, up to around $100 depending on where you buy. 1.07 billion dollars were spent on real Christmas trees in 2011, stated statistic brain.com. Fake Christmas trees may be more cost efficient for the individual, but on a whole they are damaging to our nation’s pockets. 100,000 people are employed by the real Christmas tree industry. The fake Christmas tree industry employs many people as well, but they are not Americans. It is nearly impossible to “import” a real Christmas tree. They are delicate, and will dry out if not watered within a few hours of purchase from a lot. By investing in a real Christmas tree, you are often supporting a local business. Acquiring a Christmas tree can also be a fun family event to kick off the holiday season. In fact, 16 percent of people cut down their own tree according to statisticbrain.com. It is a perfect opportunity to gather the family and enjoy an afternoon outside hunting for the winning spruce. After the tree is purchased, the decoration process ensues. This procedure is full of mirth and levity and family. When handling a natural tree, one runs the risk of getting sappy hands, but this possibility is far less dangerous then perils that can develop when handling fake trees, which can contain lead. In Crandell’s article, Richard Maas, the director of the Environmental Studies program at the University of North Carolina-Asheville, advised that children should stay away from the fake tree, anyone who touches the tree should thoroughly wash their hands after doing so, and vacuuming under the tree is not recommended because it can spread lead dust, which is dangerous to inhale. The last advantage of real Christmas trees may seem conventional and unimportant compared to saving the earth and the life of one’s child, yet it does make a substantial difference in the eyes and noses of many. The smell of pine is seldom overlooked when describing favorite holiday memories. According to The Sense of Smell Institute people recall smells with 65 percent accuracy after a year. This is more accurate then any other sense. When asked about what smells from the holidays have meaning to her, sophomore Annapurna Holtzapple said, “the smell of pine trees and peppermint hot chocolate.” Olfaction during the winter is particularly renowned for conjuring specific memories and emotions. The smell of pine has the power to sweep up the individual and encompass them as nostalgia from past yearly celebrations transports them into a joyous and pensive state of mind. Authentic Christmas trees are an irreplaceable tradition that no hoax can destroy. They have been a staple of the holidays and will remain so for many more seasons. Whether the tree is 85 feet tall in Rockefeller center, or four feet tall in your family room, the Christmas tree symbolizes the giving spirit of the holidays and shall forever be cherished no matter how green.